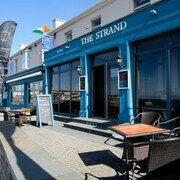 Nestled on the beach, this Kilkee hotel is just steps from Loop Head Peninsula and Kilkee Beach. Kilkee Golf Club and Dough are also within 15 minutes. This hotel is in Templeglantine. Situated in Kilkee, this golf guesthouse is steps from Loop Head Peninsula and Kilkee Beach. Dough and Kilkee Golf Club are also within 15 minutes. Situated in Kilkee, this golf guesthouse is steps from Loop Head Peninsula and Kilkee Beach. Dough and Kilkee Golf Club are also within 1 mi (2 km). Landlord Inka was great, he was really helpful, nothing was too much to do. 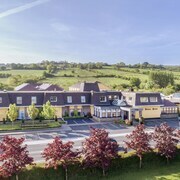 Where to find Ballylongford hotels near an airport? 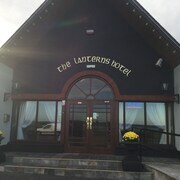 Where can I find hotels in Ballylongford that are near tourist attractions? Expedia's up-to-date hotel database offers 8 hotels within a 0.1-kilometre (0.06-mile) radius of Ballylongford. 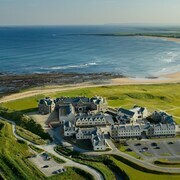 The Trump International Golf Links And Hotel Doonbeg Ireland, Ireland, which is the nearest hotel, sits 20 kilometres (13 miles) from downtown Ballylongford. As an alternative, you could check out the Teach de Broc - Guest House, located in Ireland, which is 15 kilometres (9 miles) away. 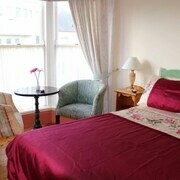 The The Tides B&B is 13 kilometres (8 miles) from the center of Ballylongford. Or, alternatively, the Knights Haven B&B is located 11 kilometres (7 miles) away. 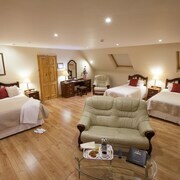 Alternatively you could book the Kilkee Bay Hotel or the Kerry Lee Self Catering. Killarney is 55 kilometres (34 miles) to the south of Ballylongford and is home to the Gap of Dunloe and Muckross House. The Killarney Park Hotel and The Malton are some of the great apartment and hotel alternatives in Killarney. 60 kilometres (37 miles) to the south of Ballylongford, you can also stay at Muckross, which is home to the Muckross Park Hotel & Spa and The Ross Hotel. Whether you're just passing through or staying in Muckross, set aside some time to check out the Arthur Young Trail and Old Boathouse Trail. If you are into sports and really like local games you might decide to take a trip to Thomond Park, which is 60 kilometres (36 miles) to the east of Ballylongford. For travelers who are interested in staying nearby, make a reservation in the No. 1 Pery Square Hotel & Spa or The Savoy Hotel. Located 40 kilometres (25 miles) away from Ballylongford is Shannon Airport. 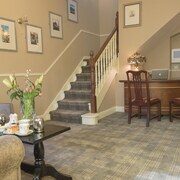 Stay nearby at Carrygerry Country House or Park Inn by Radisson Shannon Airport. What are the most popular Ballylongford hotels? Are there hotels in other cities near Ballylongford? What other types of accommodations are available in Ballylongford? Explore Ballylongford with Expedia.ca’s Travel Guides to find the best flights, cars, holiday packages and more!